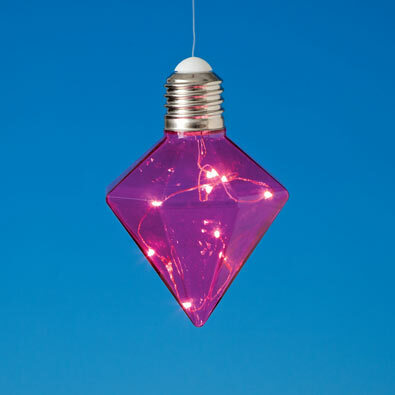 This festive diamond shaped LED light contain swirling wires that illuminate tiny bits of magical glow! On/off switch. Each hangs from an 18" plastic wire with 3" hook. Glass. 7" long x 4-1/2" wide.